I have pinched this idea from Heidi, a nutritionist, foodie, blogger and super sweet person I follow on Instagram. I have just finished catching up with her blog and thought I would give this ago, since its been a while since I did any blogging, and I’m feeling the need to write one!! DOING – Sitting in my favorite cafe with a smooth cappuccino on one side and a quiet, for once, phone on the other. Soaking up the atmosphere and enjoying escaping the house for a bit, after being bound with a rotten cold virus. HEARING – The coffee machine humming away, chat and soft music playing in the background. DRINKING – Soya cappuccino and water! EATING + COOKING – Lots of immune boosting foods, even though my appetite has been non existent over the past week. I’ve been eating a lot of chicken, soup, turmeric, ginger, fresh fruit, plain food and other remedies to help my body fight off this cold. Lizzie, another foodie I follow on Instagram, has a website full of great recipes and advice. She wrote a great blog on fighting/keeping winter bugs at bay. Here it is, if you want to check it out – 10 steps to beat the winter bugs. I’ve also really been into quinoa, butternut squash and roasted aubergine bowls drizzled with tahini and chopped avocado! Easy to prep and have in the fridge when your appetite suddenly comes back with a vengeance! WANTING – To feel better! I’m slowly getting there, just had enough of nose blowing and coughing! PLAYING – I haven’t been doing a lot of this for myself…! Mostly with the little girl I look after. We had a very quiet week playing at home, seeing another nanny friend and her little one, as well as dog walking with my mum and coloring – a definite favorite past time! Easy half term week, which was much needed. ENJOYING – Time to myself and some much needed days in bed/time of work to rest. LOOKING – For some new pajama bottoms….!! Joules currently have 25% off, so I’ll probably purchase some from there. Always a bonus having a discount! LOVING – Life in general right now…I’m really enjoying my job and I have a wonderful network of friends and family who support and love me. BUYING – Christmas presents…ha! Yes, its the end of October, but I have learnt from one of my bosses that starting early saves on the rush and is gentle on the bank account. I’m stuck for a few ideas for people, but otherwise am pretty much nearly done! 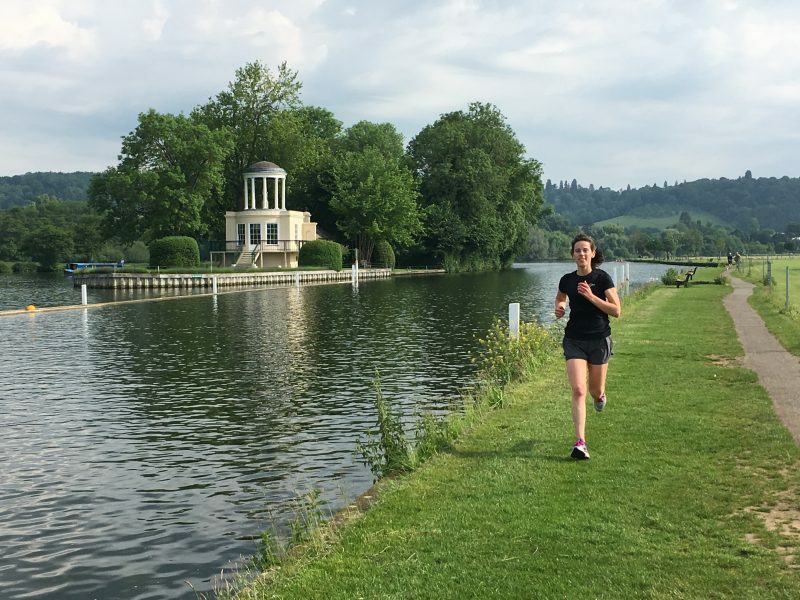 PLANNING – My next half marathon…totally mad, yes, but I absolutely LOVED training and running Henley. I’ve got a few I am currently deciding on, as well as a half tough mudder, which I’ve signed up for with the group of ladies I do bootcamp with! WATCHING – Netflix! I have just finished a sci-fi series called “Stranger Things” a MUST if you love that kind of thrill! I’ve also been finishing “Fuller House” as season 2 is due soon, as well as recapping on the last series of “Gilmore Girls”, because season 2 is also due out, at the end of November – woohoo! I’ve had a lot of recommendations from Heidi and other people, so I’ve got a list to work on now. 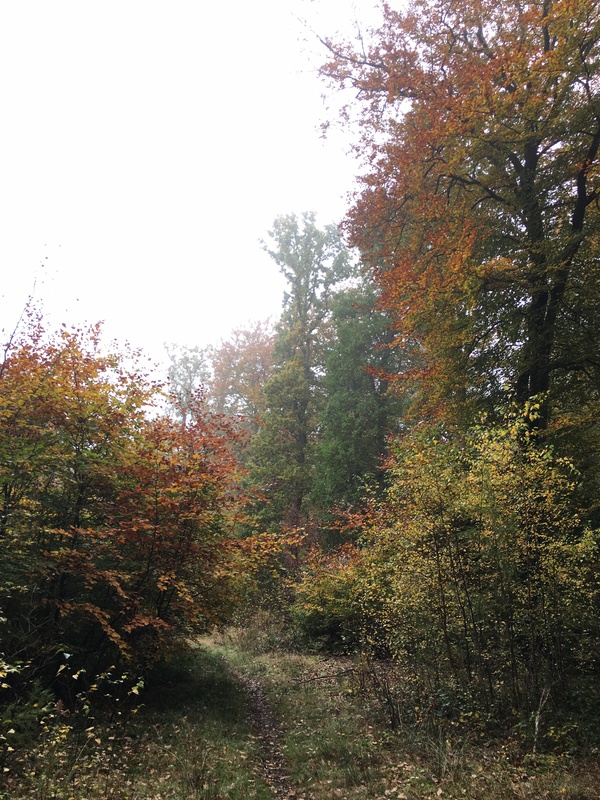 SAVORING – The last few days/weeks of fall and the beautiful sight of leaves on the trees. This time of year, and Spring, are my favorite. I’m enjoying not wearing/bundling up in so many layers and the mild weather we seem to be having. Holding on to every last minute of it! WEARING – My favorite tunic and cardigan with brown boots. Comfy! READING – Just started ‘The Ex’…a book that grabbed my attention from reading the bio, and admittedly judging the front of the cover…something I really try not to do! However, so far so good! FEELING – Happy and content, albeit full of cold still…! Very much looking forward to feeling myself again and having my appetite back. Plus getting back to my normal routine of working out. I really enjoyed writing this blog, it was different and fun. Thank you for reading, I hope you enjoyed it too!